Operation Smile will host its fourth annual Park City Celebrity Ski & Smile Challenge on Saturday, March 14, at Park City Mountain Resort to raise funds and awareness for children around the world suffering from cleft lip, cleft palate and other facial deformities. 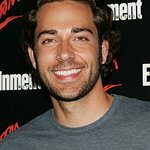 Operation Smile Ambassador Zachary Levi's company, The Nerd Machine, will return as the Title Sponsor of the event. Tone Bell, Billy Bush, Brooke Burke-Charvet, Claire Holt, Taylor Kinney, Zachary Levi, Ryan McPartlin, Yvonne Strahovski, Michael Trevino, David Walton and NBC President Jennifer Salke are confirmed to lend their support to this year’s event. Teams of six racers consisting of a celebrity skier, one Olympic skier, and four amateur skiers/Operation Smile donors will compete in a friendly dual slalom race to raise funds for the organization. The team with the best overall finish time will be announced as the winner and recognized during an award luncheon at The Canyons Resort after the race at Park City Mountain Resorts’ Eagle Race Arena. In the evening, a VIP dinner for guests will be held at the Red Pine Lodge at The Canyons Resort. Past attendees have included Kate Walsh, Jesse Tyler Ferguson, Ty Burrell, and Tony Hawk. For additional information about the Park City Celebrity Ski & Smile Challenge, tickets and sponsorship levels, click here.